Are you looking to support and protect your ankle during strenuous activities? Or are you looking to relieve pain and discomfort associated with conditions such as edema, Plantar Fasciitis or sports injuries? 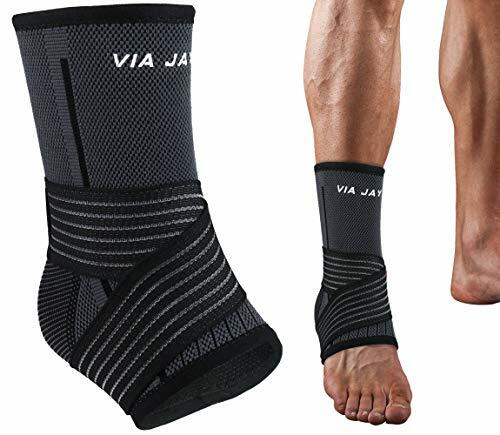 Well, this upgraded compression ankle sleeve got you covered. Professionally engineered to help you get more from your feet during sports and fitness activities without straining it. The crisscross reinforcement straps offer extra support and stabilize your ankles tendons, relieving from being overburden during active exercises. Provides pinpoint compression ensuring enhanced blood circulation to reduce fatigue build up. Absorbs sweat leaving your feet cool and dry. Comfortable and provides your feet with stability and sturdiness to take your athletic performance to the next level. Protects the ankle and minimize the risk of injury during strenuous activities. Makes a great gifting idea for sports lovers, seniors or anyone suffering from pain and discomfort. Be SMART! PLAY SAFE! Push Yourself to the Limit! Click Add to Cart Now!! 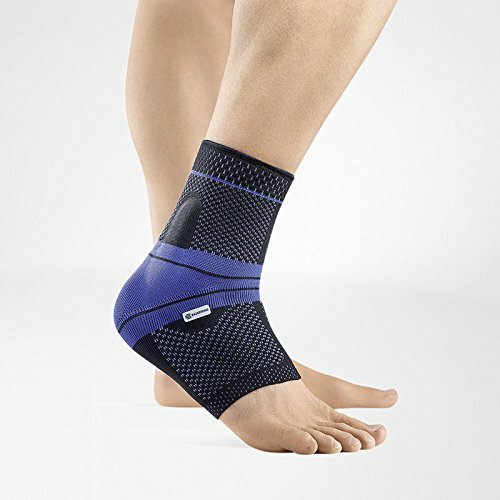 ANTI- ITCH AND ANTI-BACTERIAL: This ankle support brace is made with the finest quality cotton material which is durable, breathable and moisture wicking to keep your comfy, dry and odor-free. Will never irritate your feet even after prolonged wear. 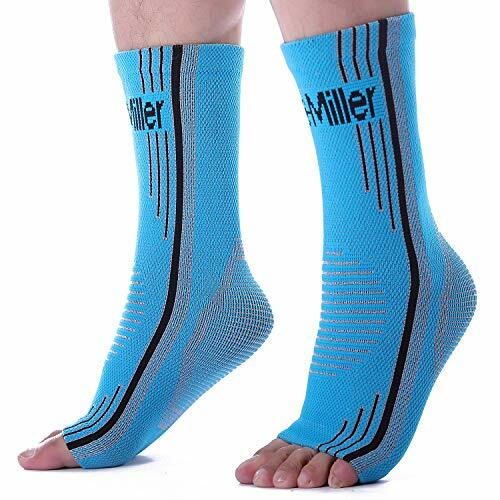 PROVIDES TARGETED COMPRESSION: These ankle compression sleeves are ergonomically designed to stretch and protectively hug your ankles and toes, enhancing blood circulation, prevent swelling, stiff soreness, relieve pain and minimize injuries during intense athletic activities. SUPER COMFORTABLE: Lightweight, breathable and moisture wicking, our ankle compression sleeves provide a soft, soothing wearing experience for extended wear at work, gym, workouts or in your training session. Perfect for men and women. Available in S/M/L/XL size. See Size Chart! ULTRA-EXTRA SUPPORT: The ankle stabilizer is thoughtfully designed with crisscross reinforcement straps to firmly hold and strongly support your weak, injured, or injury prone ankle, tendons and joints. Provides you with the right stability and strength you need your athletic activities. 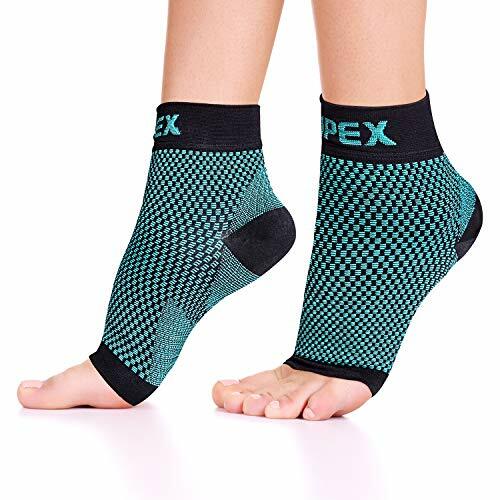 PAIN RELIEVER: This ankle support provides soothing relief for pain and discomfort associated with acute injuries, stiff soreness, edema, sprains, tendonitis, and arthritis. Perfect for Rehabilitation and treatment of sports injuries, post surgeries recovery, and muscle recovery.